Installing gutter fixings and investing in gutter accessories to help maintain your guttering will save money in the future. Guttering is a crucial component for any building. Investing in good quality fixings to support guttering should be essential. From the likes of brackets, stop ends, outlets, shoes and so many more, BSO has all the fixings needed to fit guttering and keep maintenance costs to a minimum. Supplied by industry leading brands Hargreaves Foundry and Lindab, we are confident that the high-quality products will provide security for a long time. Hargreaves Foundry specialises in manufacturing from cast iron which comes with many benefits. The strength of cast iron means it is ideal for guttering as it will withstand heavy snow, wind and rainfall. 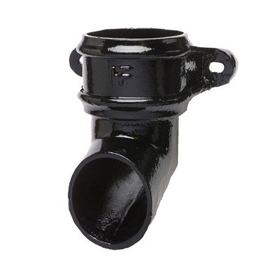 Being robust and durable cast iron can withstand heavy handling, hot liquids and mechanical unblocking. Cast-iron is non-combustible so in the event of a fire will not burn. Other advantages include being sustainable, cost-effective, recyclable and quiet all properties that would be hugely beneficial for guttering. After installing guttering, aftercare needs to be carried out to ensure maximum efficiency. Lindab's gutter brushes are ideal for cleaning out gutters and establishing the best performance from a gutter. A blocked gutter can lead to costly damages such as a leaky roof or interior damage to a building. 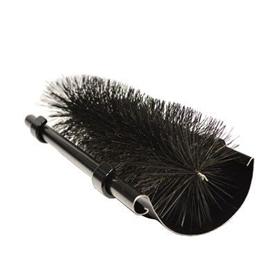 Here at BSO, we have a range of Lindab Gutter Brushes in different sizes so any gutter can be kept in top condition.